Space: 1970 wishes The Six Million Dollar Man, Lee Majors, a very happy birthday today. America's favorite astronaut-turned-cyborg secret agent turns 73 this year. And, for those who don't remember the movie very well, here's the theatrical trailer for Peter Hyam's Outland. 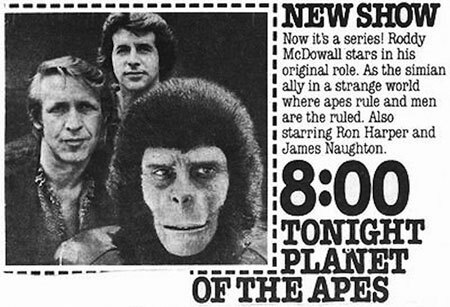 Featuring a great cast - Sean Connery, Peter Boyle, Frances Sternhagen - and a fine score by Jerry Goldsmith (Star Trek - The Motion Picture, Alien, Logan's Run, etc. 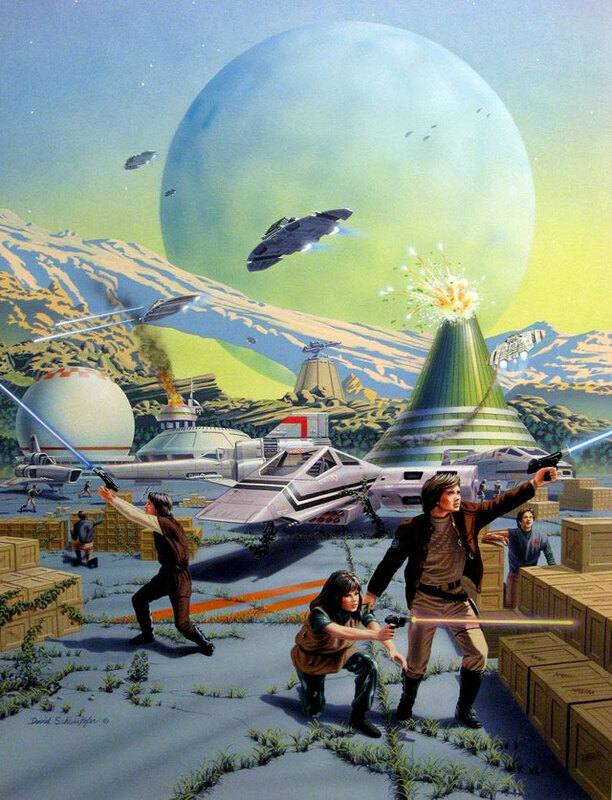 ), Outland is one of my personal favorites from the latter part of the Space: 1970 era. As noted yesterday, the movie will be receiving an HD Blu-ray release from Warner Home Entertainment in July. 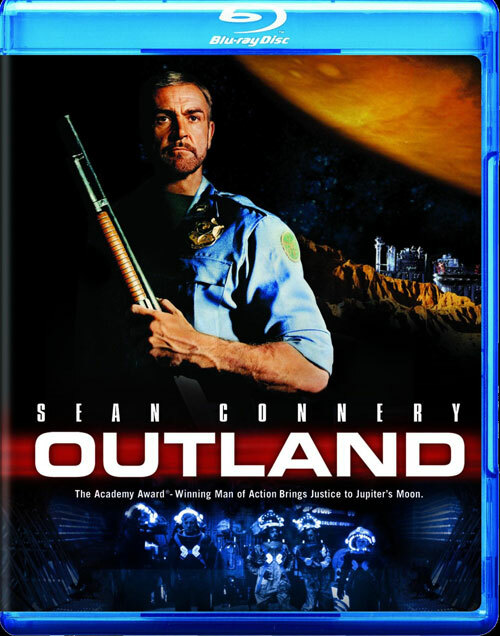 The 1981 space Western, Outland, directed by Peter Hyams and starring Sean Connery, Peter Boyle and Frances Sternhagen, is coming to Blu-ray disc in July, just in time for my birthday. Considering how crappy the 2007 DVD looked, I'm hoping for a full-fledged, HD remaster. Since Warner Home Video generally does a decent job on their catalog titles, I'm hopeful. The plot is High Noon on Io, with Connery as a Marshall stationed at a mining colony, who finds himself pitted against both the corruption of the company running the colony, and hired assassins imported to kill him. Even though the story is familiar, I like the production design and miniature effects a great deal, and the cast does a solid, professional job with the material, bringing a lot of humanity and conviction to their stock roles. As I wrote about here a few months ago, I've been filling in the holes in my collection of Berkley Books' Battlestar Galactica paperback novels, which were published until 1989. 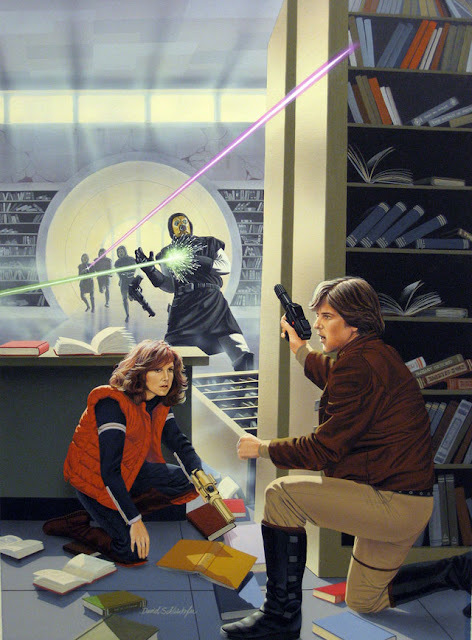 Between 1980 and '84, the primary cover artist for those paperbacks was David Shleinkofer. 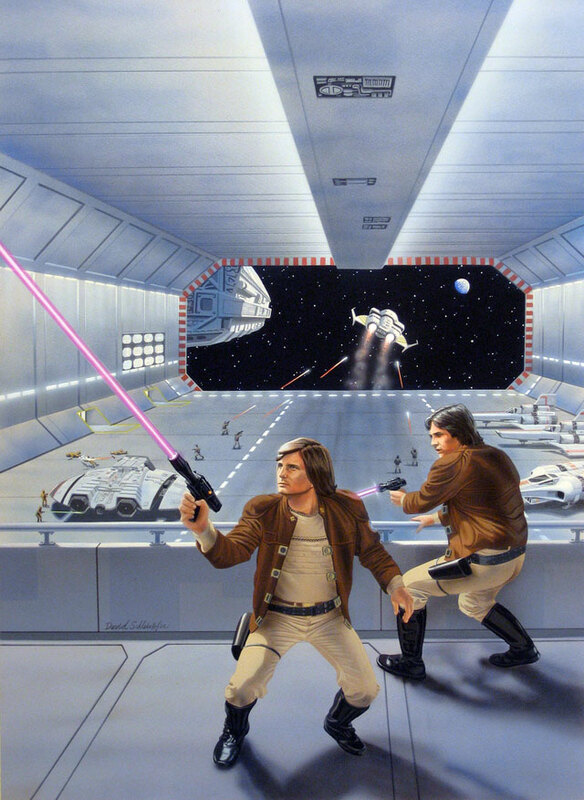 Here's a gallery of most of those cover paintings, sans obscuring logos and cover copy. Enjoy. Gene Roddenberry: "I think one fan comment we got quite often during the third year was; 'How come Captain Kirk gets a new girl every week?'" William Shatner: "Well, he uses up the old one!" This is another merchandising/audio oddity that demonstrates just how much of a phenomenon Star Trek reruns had become, almost ten years after it originally aired on network television. In '76, Trek creator Gene Roddenberry recorded an all-talk, long-playing album about the creation of the television series and its impact on both his life and on popular culture. It included interviews with William Shatner, DeForest Kelly and science fiction author Isaac Asimov, a discussion of the character of Spock, with input from Mark Lenard, in-character as Sarek, and was spiced-up with plenty of authentic sound effects from the show. 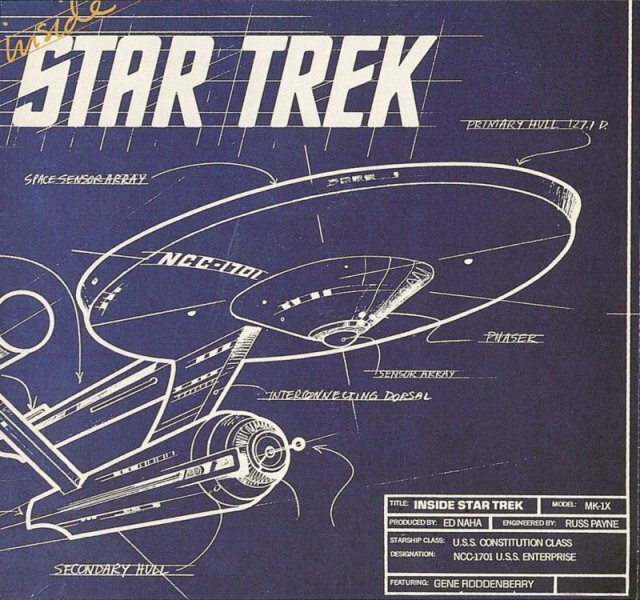 It also featured one of the best recordings/arrangements of the Trek theme I've ever heard. "I lost the argument. Questor did not get the girl. But I remember driving home that night, I was kind of happy. I was saying 'You know, in your whole writing career how many times will you get an opportunity to create a whole new area of intolerance?'" Part of the album was made up of a recording of Roddenberry talking before a live audience. If I recall correctly, it may have been one of the college lectures that he was doing at the time. Aside from Star Trek, he also spoke about his then-recent efforts to launch a new sci-fi pilot, The Questor Tapes. It's been many years since I've spun this record. I still have it buried somewhere with my other old LPs. I've read that it was released on CD in the late 90s with some additional tracks. I'll have to keep an eye out for that edition. • Wow. I have no idea where the winter went. I have no good excuses for my lack of posting over the last couple of months. For whatever reasons, other things were demanding my attentions, and Space: 1970 was unfortunately neglected. In any case, I'm planning to get back to regular updates immediately, and for those who stuck around during the drought, I appreciate your patience. 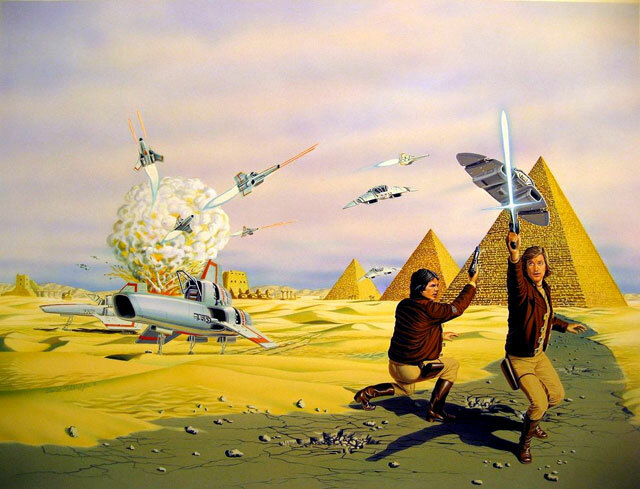 • Obit: I want to comment on the passing of Ralph McQuarrie last month. 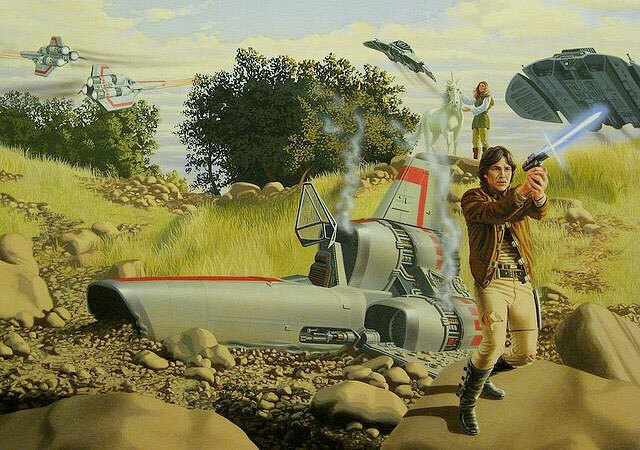 As the concept artist for Star Wars, Close Encounters Of The Third Kind, Battlestar Galactica and Star Trek: Phase 2/Star Trek - The Motion Picture, it could be fairly said, I think, that he defined for many of us the "look" of Seventies sci-fi. 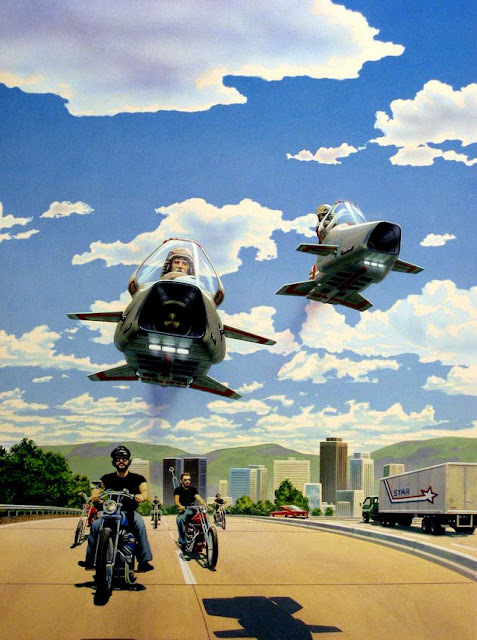 Hell, his rejected Viper designs for Galactica ended up being used on Buck Rogers, so his influence even extended directly into that series as well. R.I.P. 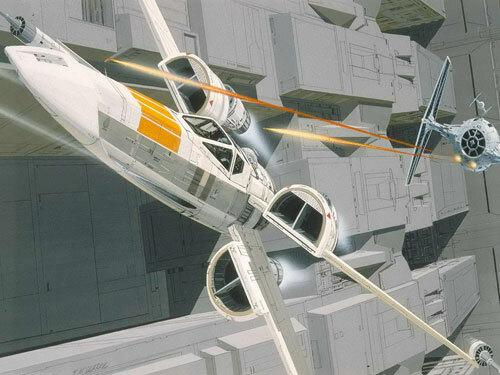 Mr. McQuarrie... and thanks. 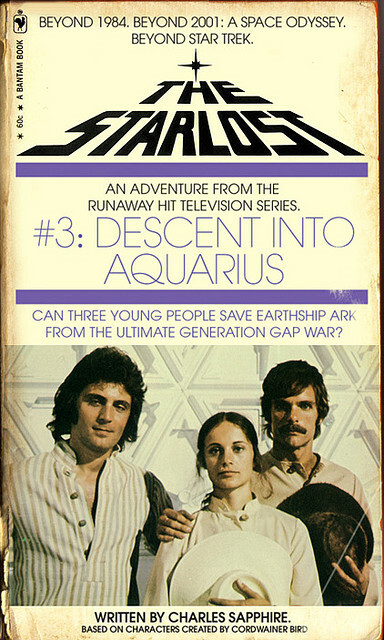 • On sale this week in the U.S. is the official DVD release of the 1977 Logan's Run television series. The 3-DVD set, containing all 14 episodes (including the feature-length pilot episode), is priced at $39.98 SRP. No extras have been announced. 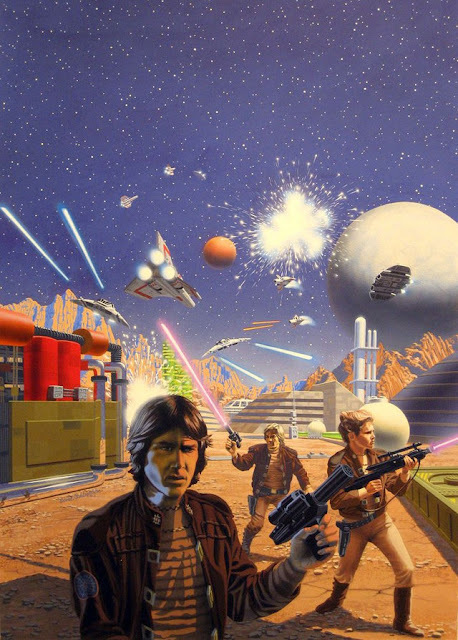 • Stats: Even without regular updates, traffic remained reasonably steady here at Space: 1970 over the last two months, and it appears some new Star Kids have joined the Alliance. We're up to nearly 400 followers here on Blogger, and the Facebook Fan Page currently boasts 865 "Likes." I genuinely appreciate the support! I also want to thank every person who has used the Amazon links on this site to make purchases of vintage sci-fi on DVD/Blu-ray (and the few who've made Paypal donations - if you'd like to contribute, there's a link in the right-hand sidebar). Every little bit helps. 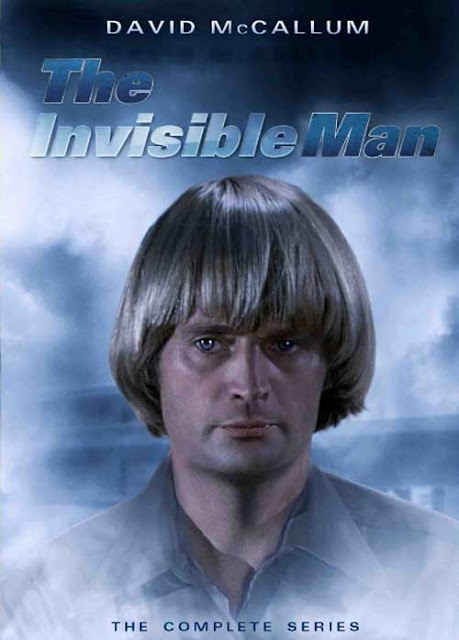 Here's the recently released, revised (and presumably, final) DVD key art for the forthcoming complete series (12 episode) release of 1975's The Invisible Man, starring David McCallum and Melinda Fee, and co-produced by The Six Million Dollar Man's Harve Bennett. The DVDs - and Blu-rays - from VEI Entertainment are supposed to be released in the U.S. at the beginning of May. The set can be preordered now from Amazon and other online retailers.